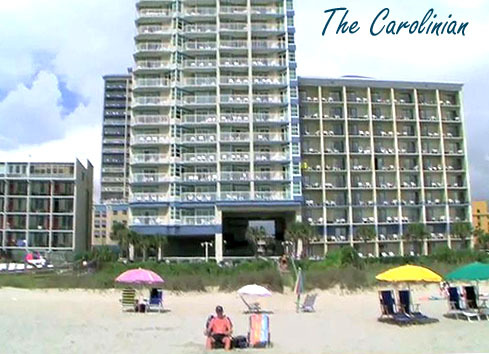 The Carolinian offers some of the finest moderately priced oceanfront condos in Myrtle Beach. The new high-rise condo resort is the ideal vacation destination for people who want to be where the action is. 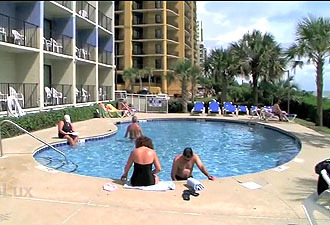 Centrally located on the beach, many of the popular tourist attractions, the Myrtle Beach Convention Center, shopping at Broadway at the Beach, amazing dining options, legendary golf courses, the beautiful beach, the new Myrtle Beach Boardwalk, and so much more is conveniently close. 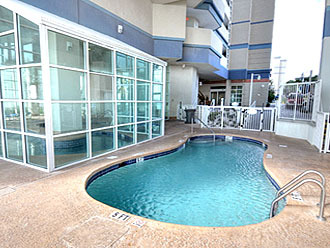 The one and two bedroom condos are priced from $100,000 to over $200,000. 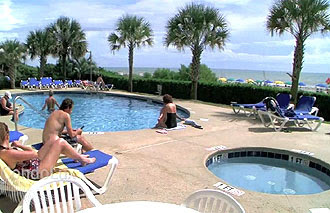 Choose from oceanfront accommodations or slightly the less expensive ocean view units. Constructed with maximum window space to take advantage of spectacular views of the beach, the condos feature all the upgrades that make your vacation home a dream come true. Stay close to home and lounge on the deck by the oceanfront pool, relax in the heated indoor pool, unwind in the spa, and float leisurely around the lazy river. 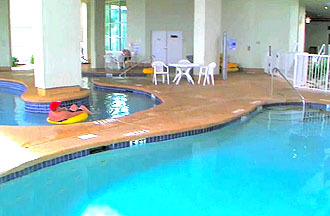 There is a fitness center so you can keep up with your exercise routine and a game room for the kid in all of us. There is plenty of parking and 24-hour security. Everything you need for a perfect vacation or a productive rental income is right there. If you would like to know more about the resort, please visit our website. Call our real estate experts to schedule a private tour of the Carolinian Myrtle Beach condos for sale to see for yourself what this incredible condo high-rise has to offer.